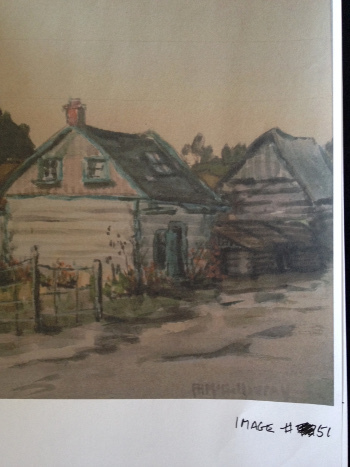 A large, high quality coffee-table style book with hundreds of images of oil and water colour paintings and other forms of art created by Whitby artist, Florence Helena McGillivray (1864-1938) in the early 20th century. 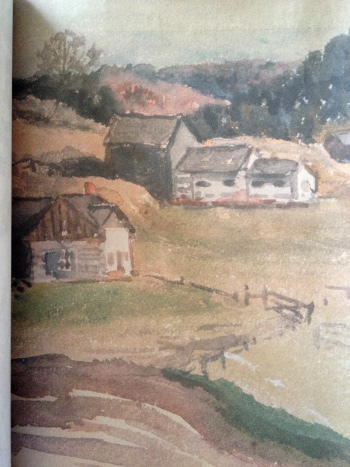 With two sisters living in Wakefield, Florence visited the Gatineau Valley frequently, and made it the subject of many paintings. Printed in limited edition, the book is available from the Society. Bill Allen who gathered this collection of images also contributed an article on Florence in the latest volume of Up the Gatineau! and was guest speaker in May 2016 at our annual awards dinner. Price: $120. To order this publication, see order publications. 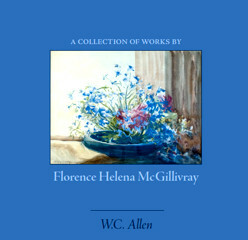 A Collection of Works by Florence Helena McGillivray - Images not to be used without permission of Bill Allen. 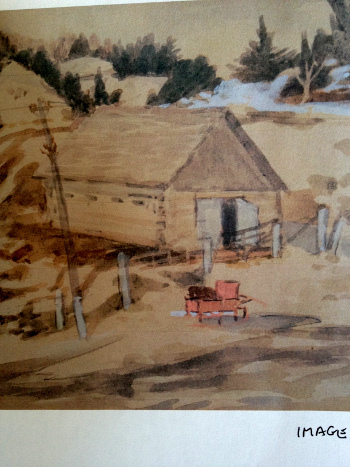 The old white barn, circa 1928. Log cabin farm, circa 1928.